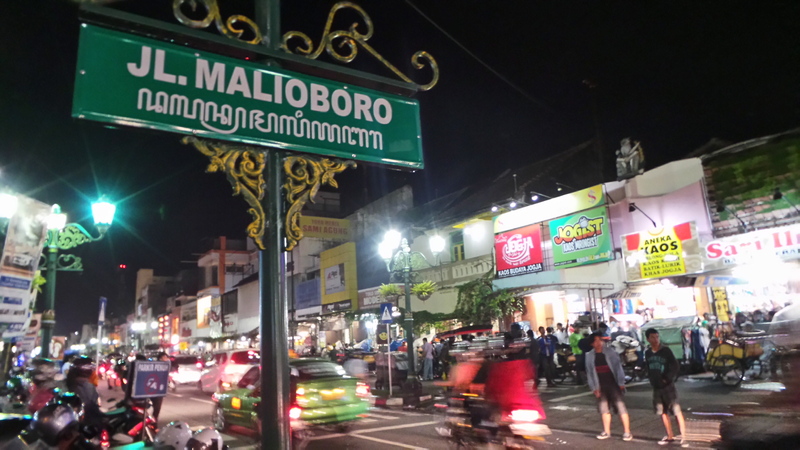 One of the main tourist attractions in Yogyakarta is Malioboro Street as it is an icon and also the busiest business district in Yogyakarta. Malioboro Street is the centre of Yogyakarta and is famous as a shopping spot for local and tourist alike. The street is alive 24 hours a day and extends for 3 km from North to South. Walking along Malioboro Street is just like entering into a big craft market with everything you could bargain for, from small food stalls beside the road to giant fast food chains, from exquisite batik boutiques and cheap souvenirs shops to supermarkets. The road is a historical site as well, with many of the buildings along the road were built during the Dutch era.